Have the passion of cooking, she's sharing you the goodness and deliciousness recipes from her KUSINA to your KUSINA! Or from my Kitchen to your Kitchen that will cost less yet very comforting that the entire family would enjoy! It's all about GOOD FOOD and more!!! While conch fritters and meat patties are two of the Caribbean’s most well-known food commodities, the cuisineof the Caribbean is far more diverse than just these items. While refrigeration has helped spread them beyond their place of origin, it is still preferable to enjoy them when dining these unique meals on a visit to the Caribbean. There you can visit an RIU Caribbean resort and stay at a place where you can experience the atmosphere, culture, music and food. You can savor the taste of a meat patty – hot or mild! – along with some real ginger beer. Or enjoy conch fritters with a dip that goes best with beer while enjoying the music of the band in the evening. For a full meal the RIU resort restaurants offer fine dining with a taste of the islands as well as cuisine from other cultures. Their tropical nature ensures the use of many fruits in not only their regular dishes but also in their beverages and sauces. Everyone is acquainted with the use of mangos, coconuts, pineapples, citrus and other tropical fruits. Their juices permeate many popular island beverages. And the vast use of seafoods is also evident. Nearly every edible item in the ocean can be found upon the plate in one dish or another, and is cooked in almost every manner known to mankind. 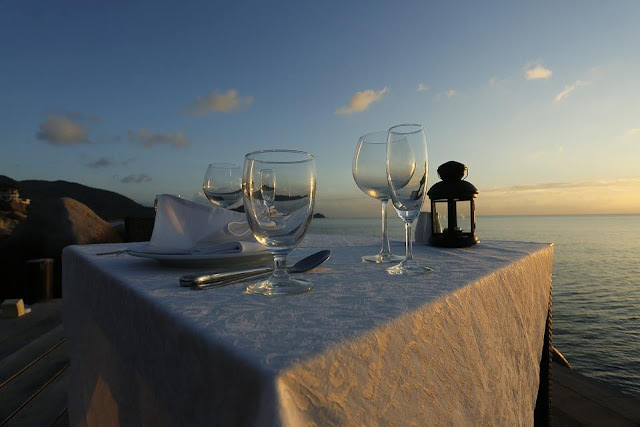 On your next visit to an RIU resort you must sample the vast cuisine of the region where you stay. Use your Groupon coupon to get yourself the most authentic meal possible from your resort’s best restaurant menu list. Don’t be like folks who visit New Orleans just to eat pizzadelivered from a national chain. That is a crime to yourself since dining upon different cuisines is one of the most sensuous parts of visiting another culture. When you decide to try something different you might go off to a local town to try food you can find at one of the restaurants or food fairs. Nothing can really give one the feel for a culture like eating their native foods in the most natural settings. Eating at a local market is one way you can enjoy the atmosphere you have traveledto experience. And it is also the way to learn new and special ingredients, seasonings and cooking techniques that might add special character to your own cooking methods. Crepe is without a doubt is an everyone's favorite! I found it very delicate food to eat. The filling is what makes extra special! Crepe is made of mix flour, milk and eggs! I can make them with eyes close literally using the pancake mix. However, the crepe batter has to be perfectly combined otherwise the result won't be correct. It should be just the right amount and thin, becauce one wrong flip it is going to be the disaster of the entire dish! On the other note, lets talk about the yummy goodness filling, basically its cream cheese and the choice of different flavors. You can use fruits normally, or a chocolate base filling is also good. Popular is the nutella or peanut butter one with whipped cream mix. It really depends on your flavor profile whatever you like to try. 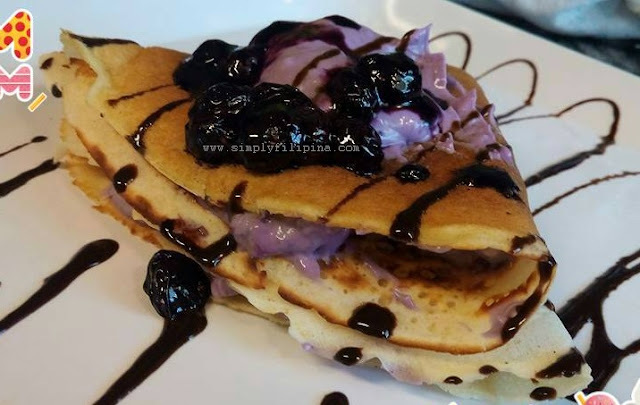 This recipe i made today is creamy blueberry filling which i think very tasty. I added some chocolate drizzle on top with homemade blueberry jam. Isn't it yummy? My Housemates favorite pasta is of course the SPAGHETTI! They could devour it in a heart beat. 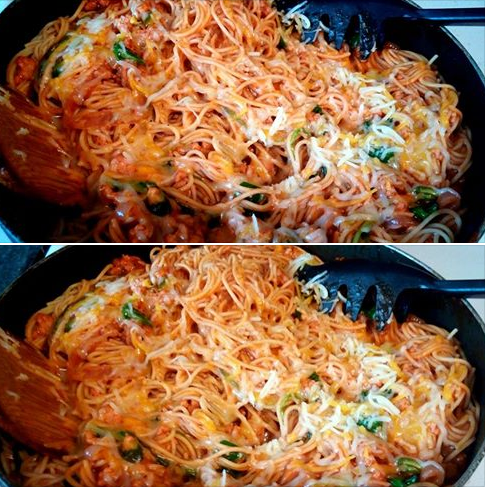 Well, days ago I made some Filipino style spaghetti with a twist of flavors. I always stock sauces in my pantry including Filipino stuff and the pinoy style spaghetti sauce to say the list. So, I used it as the main sauce for the pasta, the flavor is different from the typical American sauces which savory because this one is in the sweet side. Anyway, what I did was I marry the sweet and savory sauces together more sweet though 70/30 something like that. Well, It came out so good, I used a lean ground pork and I sprinkled some mix shredded cheeses then i added some spinach for greens, haha. All i can say is that, my kids enjoyed every bit of it. So I think, it was a successful dish! 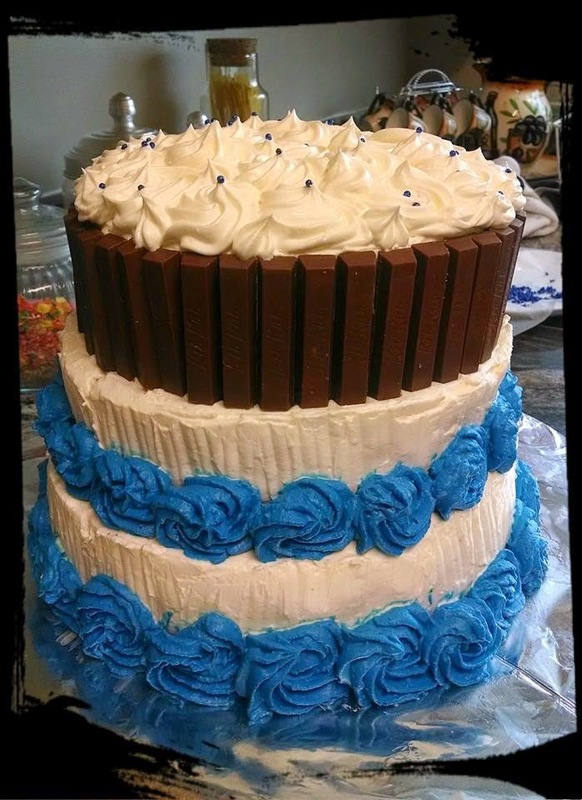 This was a hit to all my friends and families during the celebration of my niece high school graduation party back months ago! I was so excited to make this cake, with the helped of my sister in-law preparing the best chocolate cake we ever had. It is a family homemade recipe that we have over the years and just use it for special occasion only, lol. 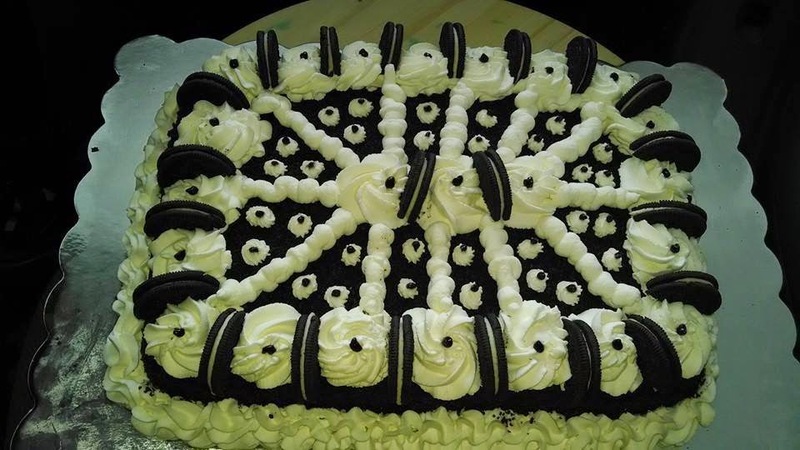 The delicious Oreo icing is the highlight of the cake, that's what make extra special and everyone just loved it! 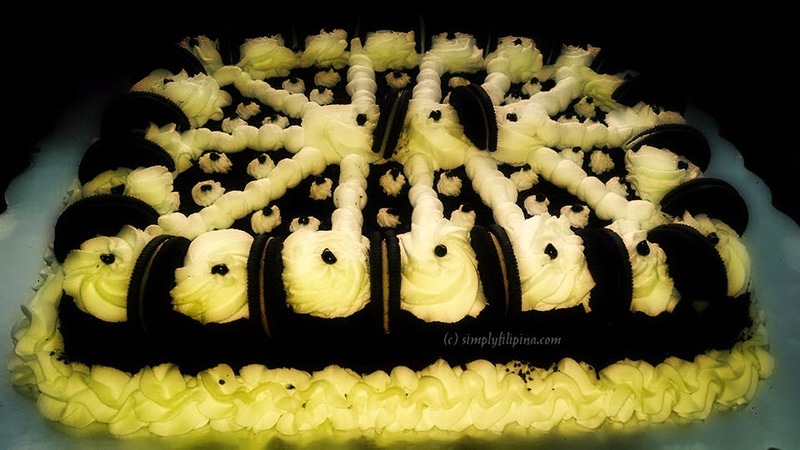 The Celebrant my niece love the color combination of black and white, so Oreo theme is the best one to incorporate. From cake to the icing you can really tastes the heavenly delicious goodness! Well who doesn't enjoy anything with Oreo? well am up to it, lets make more! lol. It was my pleasure to bake this cake for her. Wink! I stumbled upon a pretty cool website called bunny dj in charleston sc wherein it's possible to hire professional DJs for your social and special events. I'm never really a fan but I must say it requires true talent to be a disk jockey. My school in college before was near a radio station and would often pass by there along with my classmates who were super fans. So anyway, if there something like this service locally, I think it would be fun to actually have them around, playing cool and hip music that makes anyone feel young at heart. How many times did rock artists amaze us with their performances? Countless. I am not a big fan of rock music but they do impressed me. I'm talking about slow rock though and not the heavy metal, there's something in their music that chills the mood, like Dougtry, I adore him lol! Anyway, just saw something while browsing, it's best for rock players out there, click the links and check it out! 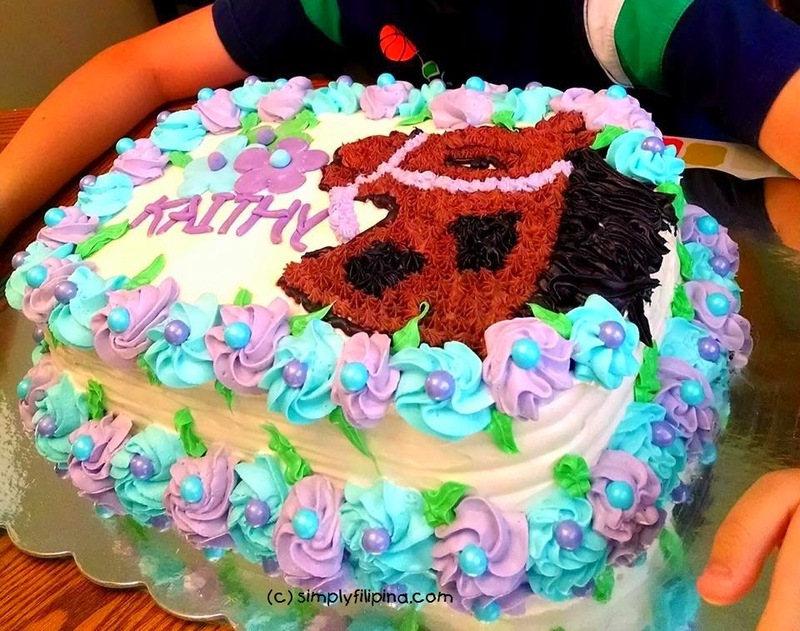 Graduation Cake - For the love of Horses! I've been so busy with my offline job recently at the restaurant. However, in some point I make sure to do not miss my cooking and baking hobby. I did several cakes lately from anniversary cakes to graduation cakes and as well some orders from my local customers here and there. Anyway, its timely my niece graduated this year to going high school. Planned of throwing her a party yet it's like a small celebration just strictly families, plus the surprised cake I made. Well, her mom mentioned about how much she loves horses and been collecting them ever since. 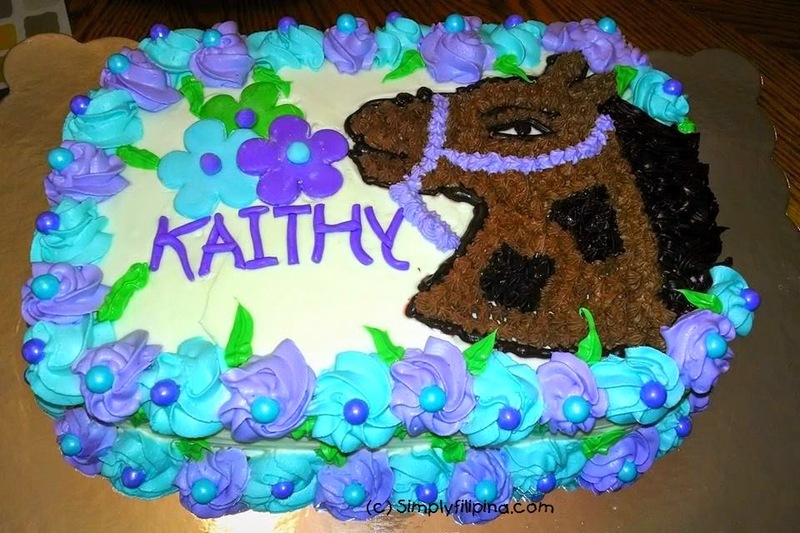 So, I thought of the idea of making her a graduation cake with a horse theme in it would be lovely. Yours truly made this beautiful cake all day and I was enjoying every bit of it, had a great time decorating it with all the over the top details and stuff, haha! Everyone love it and most specially the celebrant! Woohoo! The month of April was my PIL's month and this year was their 45th wedding anniversary. We (kids) thought of throwing them a surprised party along with all the families and friends invited. So without further ado am responsible of baking a cake. These were the cakes i made for them, pretty huh? lol. 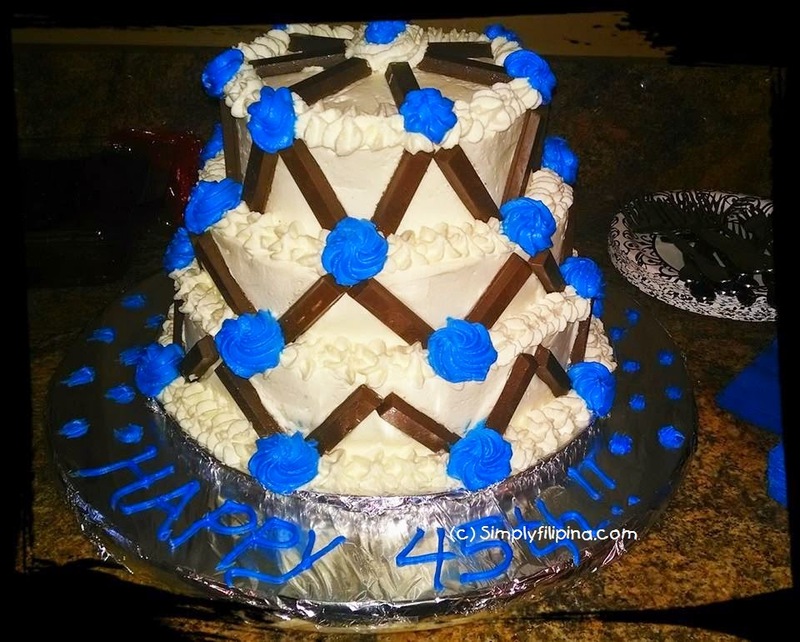 The theme was royal blue of course, I did the three tiers with different flavor in each tier. So, the first layer i made was a vanilla cake with strawberry filling, which mom in-law's favorite! Then the second layer was the yellow chiffon cake with my homemade peanut butter cream filling which everyone likes, and lastly is a chocolate layered Oreo cake which is my signature cake of course. You know chocolate cake is always present no matter what! haha. Everyone enjoyed the every bite of it! most specially I got lots of compliments how delish it was plus how they like the idea of simplicity yet beautiful. On the second note, for the decoration and niknaks thingy, i used the Kitkat chocolates with some edible beads on top to finished it off!